The current flag of Castaway Cay, indicating that it is an unincorporated territory of the Disneyland Confederacy and a member of the Mickey Mouse League. The naval cruiser Magic on the way to the naval base at Castaway Cay. Castaway Cay is the ancestral island homeland of the Pirates of the Caribbean. In 1956, the Disneyland Confederation took control of the island in the Five-Day War and relocated the Pirates to a small reservation in New Orleans Square within the Disneyland territories. Shortly thereafter, a naval military base was established on the island. Currently, the naval base is administered by the Mickey Mouse League. The presence of the naval base has been a contentious issue in recent years. Pirate activists (and Pirate Liberation Organization radicals) contend that the presence of the military base on their ancestral lands is disrespectful to their culture and an insult to those of Pirate descent. Leaders of the Mickey Mouse League contend that Castaway Cay’s location on important trade routes makes the naval base vital to the league’s interests. 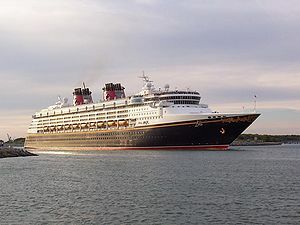 A complicating factor in this issue is the fact that the Mickey Mouse League has declared the entire island of Castaway Cay off limits to visitors. Very little is known about the league’s facilities on the island. Some international observers suspect that the Mickey Mouse League may be developing a nuclear program there. This accusation has been met with categorical denials from league officials. The controversy shows no sign of being resolved in the foreseeable future. In 1963, the island fell under the control of an ex-Nazi who had ties to Communist rebels in South American nations and those connected to the drug trade in Columbia. His name was Michael "Mickey" Maus. During his reign, he was a vicious dictator who developed ties to Cuba, Nicaragua and several other Marxist Latin American nations. However, in 1978, a bloodless coup occurred, initiated by Maus' primary rival, Don Al-Duc, which ousted Maus and his regime from power. Maus and several of his lieutenants and buisiness contacts managed to escape to the Hundred Acre Woods, and remain there to this day. In the meantime, Don Al-Duc remains President-for-Life, despite Maus' repeated attempts to oust him from power. This page was last edited on 29 May 2012, at 02:52.